@thadora Wow! You are really going to start reading this forum from page one? @bebebisous33 excellent analysis as usual. What is your take on the lamplighter tho? As this was the only other adult that the Prince seemed to love. Now that the drama is over, doesn’t he resemble CSH’s father a bit? Bound to duty etc. @rosiepeonie188 @avondale16 @stardustvoid @lolipop86gorgeous@thadora Thanks a lot for the compliment. About your first observation: I had actually already written about it in my first analysis of The Little Prince as my focus was more on the main characters. The prince watched the sunset, when he felt sad and that's exactly how CSH felt, when she watched the sunset in Cuba. First sad but then it had such an impact on her. We witness there her awakening, like the reappearance of The Little Prince in her life. At her lowest point in her life, she meets KJH the one who will bring life and joy in her life. As for your question, I'll answer in my next analysis, another comparison between Encounter and The Little Prince. First, I realized this morning that I had missed again three other aspects. Therefore I can compare the other adults from the philosophical tale with characters from Encounter. To conclude, there is still more to say about the The Little Prince. we would have been so happy. I’m so frustrated of the bad timing. Because I keep wanting to know more about him. I was reading back the thread and tried to copy all the poems/quote that you posted including this one. I think the title of the poem is “In the night” and the author is Kim Kwang Sup. Kim Hwan Ki is the artist of the art “ where, in what form, Shall we meet again”. It is named after the last line of the poem. one stares down at me. 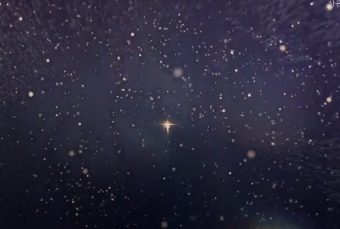 I stare up at that one star. The picture above from The Little Prince represents the street lighter turning on and off the light. He lives on the smallest planet and the latter turns around one cycle per minute hence the worker has no time to rest. The street lighter is blindly following the instruction. He never questions the meaning of this instruction or tries to change it hence he is unhappy. As you can sense, the street lighter represents the workers' social class in reality. But what does he have to do with our favorite drama Encounter? 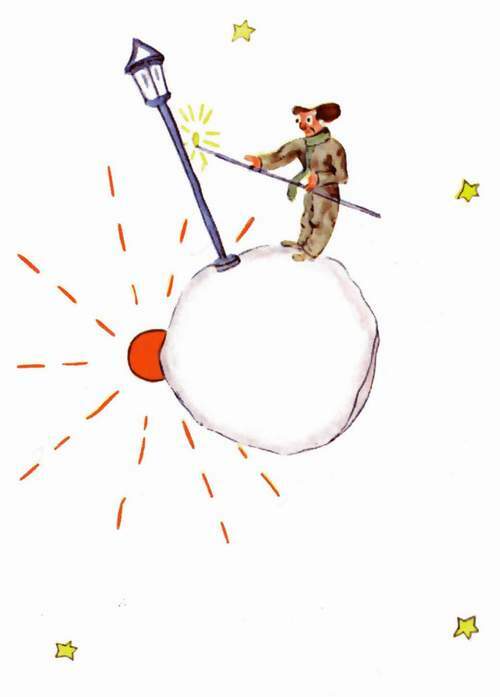 First, let me remind you that the story written by François de Saint Exupéry contains a lot of drawings which makes you think that this book is for children. So the drawing above is the perfect illustration. And Encounter has the same approach: it uses drawings in each episode in order to illustrate the topic or the main event of the episode. - the refusal of any change even if it means discomfort. Both are prisoners of their past in the end. The street lighter had a nice life in the beginning, yet it changed as the planet turned around much quicker. - the fear: The Little Prince even got aware that the worker would be looked down by the others (peacock, king, businessman) due to his situation and KJH's mother had this fear. But if CSH's father is not the street lighter, then who resembles him? I have the impression that CJH could be the geographer, the scientist. Both have a similar work: the geographer writes books, CJH was a journalist. Both love books as well. The flaw of the geographer is that he never explores himself the world, he keeps writing and reading books, yet he never experiences the beauty of the ocean. He never leaves his desk hence he doesn't know his planet at all. He represents the uselessness of the science if someone is forgetting the real purpose of the science. He is actually a prisoner too, just like the street lighter... but not of the past but of the future. And a politician is often too focused on the future, forgetting the present. Yet the geographer is the one who encourages The Little Prince to explore the world and discover things. He is not different from CJH. The latter encourages his daughter to face the world, to experience new things... and at the end he realizes that he should change his life as well, not focussing too much on the future but enjoy the present. Another similarity is the presence of the star. 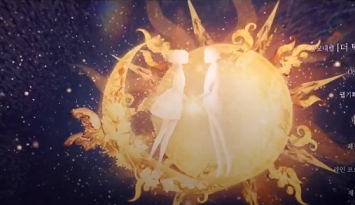 We have the poem "Enchanted" where the star is mentioned, then this illustration where the sun and moon are reunited which creates a shining star. Their love transcends time and space. And at the end of The Little Prince, the narrator asks the readers to think of The Little Prince if they are in Africa in the desert and a start shines... the little prince could appear anytime. The star as symbol is used in both works. Finally, I would like to remind that each adult in the philosophical tale should be seen as a different part of ourselves. They just represent a certain flaw and the adult has to keep these aspects in check in order to enjoy life and be happy. Love it @bebebisous33 thanks for claryfing the lamplighter. It totally makes sense now CSH wanting to be accepted by JH’s mum, but her world (or mind, rather) is just too small. Anyway, I’ve always loved the Little Prince and am so thankful it managed to be integrated in my favorite drama. All the more reasons I can’t move on so easily! Thank you again @bebebisous33, love it and u nail it again. @avondale16 @stardustvoid @dukesa1122 @nikir Thanks a lot! And now here is the next question: Who is the peacock in Encounter? Any idea? First, KJH is mentioning a book indicating that he has something precise in his mind. From this book, he learnt what love is. The philosophical tale explains what love and friendship are. So KJH could be referring to The Little Prince. Then the prince realizes what love is after talking to the fox. He gets aware that he has loved the rose. So KJH and the little prince make the same experience. Notice the parallel between both characters. KJH doesn't declare that he loves CSH directly, just like the prince never declares to the rose, he loves her. Moreover, there is this future separation between CSH and KJH... just like the prince leaves the rose, the one he loves, behind. Yet there is a difference: KJH gets aware of his love before his departure, while The Little Prince only discovers his true feelings for the rose after meeting the fox. KJH had advantage: he had read the story before which helped him to discover love. By the way, I have been thinking about writing an analysis about Alice in Wonderland and Encounter. What do you think? But like I said before, one analysis per day... since there is no hurry. One of the other soundtrack pieces that I think maketh a scene (and makes me squee) is called Lovebirds (그남자 진혁, 그여자 수현 - Jinhyuk the man, Soohyeon the woman). In ep 2 there is an excerpt as Soohyeon surreptitiously ogles Jinhyuk who is demonstrating how to use the loupe, and it continues as he watches her use the loupe in turn. Anyone with other favourite scenes and pieces of music? @bebebisous33 your analysis just astounds me!! I never would have thought these just from this drama..Thank you so much for putting in so much time in each analysis!! I think you should really put all these analysis in a blog, invaluable to viewers of Encounter!! By any chance, have you written CSH analysis for Ep 8 ending ( when they meet after the 1 month time off? where JH hugs her and her hands are in her pockets initially) . Please do let me know, I will revisit the pages if you have already written.!! Also, did you notice the paintings in WS's room..it came only once or twice!! I vaguely remembered the story of the Little Prince, but am going to get myself a copy just to understand everything you said!! ETA: Did anyone try calling CSH or KJH phone numbers? The numbers were so plainly visible ..I was sooo tempted many times ..now its anyways too late.. Never called coz of my highly limited korean even if somebody did pick up . .am pretty sure it was one of the staff's nos or pbly numbers taken just for this show!! @bebebisous33 your analysis just astounds me!! Thank you so much for putting in so much time in each analysis!! I think you should really put all these analysis in a blog, invaluable to viewers of Encounter!! Have you written the CSH hand analysis for Ep 8 ending ( when they meet after the 1 month time off?) . Please do let me know, I will revisit the pages if you have already written.!! I vaguely remembered the story of the Little Prince, but am going to get myself a copy just to understand everything you said!! I am glad that my analysis incited you to want to read the French story again. Maybe 10 years ago, I used to take this book for my students but nowadays it is impossible to read it in class. First, the students' skills in French are lower and secondly it has become too difficult for them to understand the meaning. As for the analysis with the taking of hands, I didn't use the hands from the episode 8. Actually, I am rather inclined to focus more on the takings with feet because except the first post about the significance of hands and feet, I neglected the feet later and focused more on the hands. Yesterday, I actually wrote two analysis and not just one like I wanted. I was in such a good mood. That day, I had a visit in my History class (History in French, bilingual class). The visitors were from other European schools (Spain, Italy) and remained for two hours in my class. Imagine the pressure... I had just been informed the evening before. Nonetheless, they were quite impressed by the lesson and the students. My superior came to me and complimented me. So this was the reason why I was so enthusiastic and decided to write the comparison between Encounter and The Little Prince yesterday. My guess is mr nam, the driver. Peacock have beautiful colors. Mr nam always make the life of the couple to have to be beautifully colors of (their) life. Like, you go, couple. Go for it and run towards happiness. N do not run away from being happy. Cool. I will be waiting, patiently. Enthusiastically. Wow, being out for 10 hrs, made me the last one to read your posts. At the farewell date... Sh is not only leaving good memories to Jh but also leaving "cruelty and hatred" . I agree with you @bebebisous33 , being cruel is how to describe what she did. She knows what upsets Jh in their no news is good news and still she did it again. She knows of all the people who love her, it is only Jh who loved her so pure and unconditional. What i think is, she is giving Jh choices after the break up : to live with those good memories or to replace that love with her cruelty and then hate her. But Jh choose good memories and never let hatred comes between them. He never believed in sadness and sad endings. I always said this and that is what Ch and Jh should do. But i asked myself if i am Ch or Jh, will i do the same? Idk. We all have our own upbringing, life experiences perspectives in life. What we think now maybe different to what we will do if face with such situation. Thank you for the analysis re: little prince. To be honest, i have a vague memory of the little prince story. It maybe in grade school which is so many years ago. And now this inspires me to go back to reading. I'll start with the little prince. What can a man do when his lady refuses to see that without her, he can never he happy? He can let her go and be miserable, or he can fight, and our hero has never been one to back down when he knows he’s right. The challenge will be getting her to see that they need each other more than anything else, and if there’s a way to do that, our Jin-hyuk will find out. She says she made a difficult choice, and he acknowledges that, but he repeats, “You can break up with me. But I’m still going to love you. Let’s make another bet. Either we’ll break up like you wish, or love will conquer like I say.” He notices that she’s not wearing her couple ring, but he just tells her to go home safely. The next day, Jin-hyuk asks to use Mrs. Lee’s darkroom. She ask if he broke up with Soo-hyun like he said he would, but he says he doesn’t think that’s the answer. He develops the photos in his camera, then arranges them on a display board and takes pictures of his pictures. It’s Soo-hyun’s mother’s turn to face the press as she arrives at the prosecutor’s office to give a statement about the illegal funds from Taekyung Group. Chairwoman Kim stays calm as her employee tells her the news, but as soon as she’s alone, she viciously sweeps all the pieces off of her chess board and onto the floor. The news channels are buzzing when it gets out that Soo-hyun’s mother confirmed her husband’s statement that Taekyung Group illegally funded his political campaigns. Worried, Soo-hyun calls her dad and says she’s coming over, but he tells her not to worry because things are finally being put right. He hangs up, and turns off the TV when the newscaster starts talking about how he’ll likely go to prison. In the morning, Soo-hyun’s mother serves breakfast that she made herself for the first time. She and her husband sit to eat, but soon the doorbell rings, and they can see on the monitor that it’s the prosecutor. Soo-hyun’s father quietly pats his wife as she starts to cry, then goes to open the door. Soo-hyun goes to her parents’ house to find breakfast cold on the table and her mother frighteningly subdued. She says softly that she resents Soo-hyun’s father, but Soo-hyun just tells her to be strong, because things will get harder when the trial begins. Her mother asks if Soo-hyun resents her for never acting like a mother, and when Soo-hyun says she didn’t expect her to give a statement, her mom says not to be too impressed because she already regrets it. Soo-hyun offers to get a room at the hotel so her mother doesn’t have to stay in the house alone, but her mom says that she doesn’t want people to see her like this. Soo-hyun says that she hopes her mother can someday say that it will be okay, even if it feels awkward, because it’s what people do for each other. Still worried about Jin-hyuk’s lack of appetite, Hye-in asks him to be honest about what’s wrong. He tells her that he’s just upset about not being able to help Soo-hyun, and Hye-in says that supporting her is enough. Jin-hyuk just says sadly that he’d like that, and when Hye-in asks again, he admits that Soo-hyun wants to break up and why. Hye-in shows him the red journal he chose for her years ago, confessing that she only said she liked the color because he liked it. She admits that she liked him, and that she wondered when he’d realize it, but then he got serious with Soo-hyun so she never told him. But now she says she wonders if she truly liked him, or just the idea of liking him. Now that she’s seen him with Soo-hyun, she believes that she only liked him, but didn’t love him. Jin-hyuk thanks her, and she jokes that he’d better not apologize for not knowing (Jin-hyuk: “Augh, I was just about to say that!”). Hye-in says that she told him because she doesn’t want things with Soo-hyun to end this way, and Jin-hyuk promises that won’t happen. The next time she sees Dae-chan, Secretary Jang tells him about the breakup. He says he didn’t know, and he doesn’t think Jin-myung does, either. He says it’s bad timing, but he hands her a pair of earrings, which Secretary Jang eyeballs like they might bite her. She declines the gift, admitting that she has a certain standard in mind for a man, and that she tried, but she’s not someone who can get past her expectations. She says that dating Dae-chan was fun and exciting, but she’s just not that into him, and he accepts her apology easily. He tells her to keep the earrings anyway as a gift from a friend, and she does, smiling. Jin-hyuk’s mom is waiting for him when he gets off his bus, and he takes her to a cafe to warm up. She says she needs to tell him something, but Jin-hyuk says that he heard her and Dad talking about how she confronted Soo-hyun. He says he was heartbroken, but he understood her position, and that he doesn’t hate her. He says that she just doesn’t know how much he loves Soo-hyun, so she asks him to tell her. Jin-hyuk says that he loves Soo-hyun as much as he loves the rest of his family, and that he believes she only wants to break up because she was worried about Mom, and about breaking something as precious as their family. When Jin-hyuk told Soo-hyun that he wasn’t going to give up on their relationship, she’d noticed that she was still wearing his couple ring. She hadn’t responded to his suggestion that they make another bet, but she hadn’t refused, either. In a meeting, Eun-jin worries that Soo-hyun’s father’s scandal will negatively affect the hotel’s image. Hye-in says that they’ve actually had an increase in reservations, and Han-gil adds that he’s more worried about Soo-hyun herself. Director Kim changes the subject back to their employee event, and Jin-hyuk tells her that he’s been working on the music. At lunch with Driver Nam, Jin-hyuk asks how Soo-hyun’s father is doing. He asks Driver Nam to tell Soo-hyun’s father not to worry about Soo-hyun, and to let him know that whatever he hears (about the breakup), it’s just part of the process. Driver Nam tells Jin-hyuk that Soo-hyun would rather suffer than let others hurt, which is why she broke up with him. Jin-hyuk says again that it’s part of the process, and that he thinks it will work out in the end. Driver Nam chuckles that he hopes they all end up happy. Jin-hyuk starts to say something else, although we don’t hear what he asks. But that evening when Soo-hyun gets in the car to go home, she finds Jin-hyuk in the driver’s seat. He says he’s only here to drive her home safely, promising not to try anything or cause her pain. In the morning, it looks like Mom has been up all night cooking judging by the mountains of food on the table. She packs it all up and goes to see Soo-hyun, apologizing if meeting again makes Soo-hyun uncomfortable. She tells Soo-hyun what Jin-hyuk said about loving them both and protecting his love for both of them. She confesses that she shouldn’t have interfered, but that she made a mistake because she was worried. Soo-hyun says that she didn’t break up with Jin-hyuk solely because of what Mom said, or she would have been begging her every day to approve of their relationship. She tells Mom that she broke up because she cares about Jin-hyuk so much that she didn’t want him to suffer the hardships she’s suffered. She says that breaking up with him is her way of loving him, and for Mom not to feel like it’s her fault. Mom thinks a moment, then she says she heard that Soo-hyun liked her food and that she must not be eating well because of her father, so she brought her more of her cooking. She invites Soo-hyun to come over for dinner again sometime, leaving Soo-hyun touched. On the bus ride home that night, Jin-hyuk sends Soo-hyun a text asking if she’s eaten, and that the moon looks pretty tonight. Soo-hyun looks out the window, and she and Jin-hyuk gaze at the almost-full moon at the same time, from different places. Woo-seok is worried about his mother, who seems dangerously fixated on Soo-hyun. She says darkly that she always thought Soo-hyun was too obedient, and that she always hated that Soo-hyun didn’t seem impressed by Taekyung’s power, worth, or dignity. Woo-seok says that her hate was why he felt sorry for Soo-hyun. He tries to talk about Chairwoman Kim’s upcoming investigation, but she just wonders if the Cha family did this in order to gain control of Donghwa Hotel. She says that Soo-hyun has changed, and that sometimes she even admires her. She finally looks at Woo-seok as she says that he couldn’t change Soo-hyun, and it bothers her that the son of a fruit stand owner somehow managed what he couldn’t. Woo-seok tells her to worry about herself and let everyone go back to where they belong. She asks where he belongs, and he says that his place is to protect her and Taekyung Group. Secretary Lee comes in to tell Chairwoman Kim that the prosecutor is here, and Woo-seok says he’ll accompany Chairwoman Kim to the prosecutor’s office. Soo-hyun visits her father in prison and tells him that she sees her mom often, but that she’s not ready to leave the house. He puts up a good front, saying that he’s eating well and reading all the books he’s always wanted to read. He’s heard that she broke up with Jin-hyuk, but she doesn’t respond. She says that he probably had a harder time watching her struggle (while she was married) than she had going through it. He agrees that it was difficult to watch her lose her smile, and she says that she was worried Jin-hyuk and his family would end up the same way. Her dad tells her that while he’s been in prison, he’s realized that he thought he’d tried to live a good life, but that it didn’t make him or his family happy. He says that he knows Soo-hyun wants to take care of the people she loves, but that ultimately, she needs to take care of herself first. Jin-hyuk calls Mrs. Lee to see if Soo-hyun came to her darkroom to develop the film he gave her. She says she hasn’t, but promises to call him if she does. He looks at the shoes that he still has from when he met Soo-hyun in Cuba, and he takes out some paper and starts to write. Tears stream down Soo-hyun’s face as she remembers Jin-hyuk saying that he’s going to keep his promises to her, and keep loving her. She leaves her office at a run, leaving the shoes behind. That night, it’s snowing when Soo-hyun has Driver Nam take her to Jin-hyuk’s neighborhood. The street is blocked off so she gets out to walk, and we see that earlier, she’d gone to Mrs. Lee’s cafe to develop the roll of film from Jin-hyuk. The entire roll was full of pictures of her on the day he gave her their couple rings, and in all of the photos, she’s smiling. She finds Jin-hyuk at his playground, where he’s sitting and watching the snowfall. She walks up behind him and asks what he’ll do if the playground is sold, and he slowly turns around, as if afraid that she won’t really be there. Oof, his hopeful expression when he sees Soo-hyun smiling at him just kills me. That’s all Jin-hyuk needs to hear. He hugs Soo-hyun, both of them crying, and says that she doesn’t need to be sorry. He thanks her for being brave, tells her that he loves her, then kisses her for a long, long time. They end up at Dae-chan’s restaurant later, where Dae-chan, good friend that he is, drags Jin-myung away to keep him from joining them. Soo-hyun says that they should have gone to her place for dinner, because her fridge is full of food that his mother made for her. Jin-hyuk asks where her couple ring is, and Soo-hyun pulls it out of her purse in the film case, admitting that she carried it with her constantly. Jin-hyuk jokes that she’s loyal, but she protests that it’s love, not loyalty, as he puts the ring back on her finger where it belongs and makes her promise never to take it off again. He asks if she knows why he made her a camera case, and she says that it was his way of saying that he wants to be like a house for her. He pouts that she broke up with him even knowing that, and Soo-hyun pouts back at his scolding. She says that she wants to make a camera case for him too, for the same reason, and when Jin-hyuk jokes that it will take a long time, she says that’s fine because he’ll be by her side even longer. The Donghwa PR team has a new employee, and when the kid says his mother doesn’t let him drink, Han-gil (who’s been promoted to Manager Lee’s old job) and the whole team tease that they’ll teach him to drink, one spoonful at a time. He gets his own back when Eun-jin flirts with him and he’s all I don’t think so, lol. Chairwoman Kim is serving time in jail for her illegal contributions during Soo-hyun’s father’s political career, and every time Woo-seok asks to visit her, she refuses to see him. Woo-seok lives in that huge house all by himself, and he looks miserable. Dae-chan hasn’t given up on Secretary Jang — he still drags her out of work to buy her coffee, and although she’s grumpy whenever he does it, he points out that she always comes with him. He says there must be a reason for that, and Secretary Jang can’t hide her pleased grin at the attention. Soo-hyun’s mother ended up buying that art gallery, and she looks more relaxed than she ever has. Soo-hyun visits her dad and learns that Jin-hyuk visits him often, too, and they joke that Jin-hyuk is a good guy, but he can be kinda boring because all he ever talks about is books and restaurants. LOL, I’m glad someone said it. Jin-hyuk’s mom is annoyed with her son because he brings Soo-hyun to dinner all the time, and she’s running out of dishes to cook for her. She jokingly threatens to make him take the whole family out to dinner one of these days. Driver Nam takes Director Kim on a hiking trip, which mostly seems to involve dressing in hiking gear and drinking makgeolli at the foot of the mountain. They bicker over everything and nothing, like they always do, which is adorable. Jin-myung and Hye-in run Dae-chan’s restaurant, complaining that he’s never there lately but they don’t know why. Jin-myung shows Hye-in a picture of a guy he served with in the army and offers to fix them up, but she refuses and beats him with a tray. When confronted, Jin-hyuk admits to Soo-hyun that he’s been visiting her father. He defends himself against the “boring” accusation, saying that he tried talking about a few different subjects but they had nothing in common. Now that the Cuba hotel is built, Jin-hyuk asks if Soo-hyun can spare him some time. She asks why, thinking that maybe he’d like to go on a trip to Santiago. Jin-hyuk pulls her close and asks, “Can we go as newlyweds?” Soo-hyun’s answer is a big, happy smile. This is one of those rare cases where I’m actually glad that everyone got a happy ending and those who deserved punishment got punished. Boyfriend was so sweet and pretty from beginning to end, but there were times that I worried that Soo-hyun and Jin-hyuk wouldn’t be able to overcome the challenges to their relationship. Luckily, they proved me and everyone else wrong, and learned to take their happiness for themselves because nobody was going to give it to them. Normally after a scene like the one at the beginning of the episode, where one person refuses to break up with the other even when the other has clearly stated their wishes, I’d be all up in arms about pushiness and not listening to what the other person wants. But it didn’t feel to me like Jin-hyuk was disregarding Soo-hyun’s decision, because Jin-hyuk has always had an almost preternatural understanding of Soo-hyun’s true feelings, and he knew, in his heart, that she didn’t want this breakup. I don’t think he was saying that he planned to pretend they were still together, just that he knew she wasn’t following her heart, so he was letting her know that he was going to keep loving her and that she could come back when she was ready. He was telling Soo-hyun that she didn’t need to be afraid he would move on, or reject her if/when she realized that this was the wrong decision, but that he was ready to pick up where they left off the moment she said the word. In addition, I would generally be annoyed that it took Jin-hyuk’s mother’s apology to make Soo-hyun reconsider breaking up with him, but again, for these characters, it felt very in-line with what we know of them. I think that it was important for Mom to admit to Soo-hyun that asking her to break up with Jin-hyuk was selfish and borne of her own deep-seated fear of seeing Jin-hyuk hurt, and for her to see that Soo-hyun was afraid of the exact same thing. and I’m glad that Soo-hyun was aware that Mom’s fears triggered her own fear of watching Jin-hyuk and his family suffer the way she’d suffered, because knowing how hard it is to see someone losing their smile is what led her to recognize in the photos that Jin-hyuk actually gave back hers. Because their reconciliation came about after Jin-hyuk proving how well he knows her, and Soo-hyun going back to him of her own free will and with a joyful heart, I’m not left worrying about their future — they confirmed for me as a viewer that this love will last. I liked seeing everyone just living their lives, not changing much, but just appreciating each other. I’m a little disappointed that Secretary Jang and Dae-chan didn’t work out, but I have to admire Secretary Jang for knowing herself and being honest about the fact that she’s no Soo-hyun who can overlook what she wants. She just wants certain things in life, and Dae-chan is fun and cute and successful in his own way, but he’s not her dream man. It made me happy that she didn’t break Dae-chan’s heart or anything and that they are both happy to remain friends (but I’ll admit that in my head canon, they’re totally going to get together anyway in a few years, lol). Boyfriend is one of those rare dramas that moves slowly, but never left me bored. I loved watching Soo-hyun and Jin-hyuk falling in love, then trying to keep that love despite the challenges involved, and ultimately realizing that they can’t make everyone happy, so they may as well take their happiness where they can. The drama was lovely visually (and I don’t just mean the actors), and had some beautiful things to say, but the artistry never got in the way of the true beauty — the love that two people can experience if they just make up their minds to fight for it. This episode is everything I’ve been dreading since this drama began. The one thing that could separate our lovers has come to pass, though they’re both obviously heartbroken. Both of them have to want this relationship to work, but if one of them is ready to give up, there may be no way to fix it this time. After their bookstore date, Soo-hyun and Jin-hyuk go to a nice restaurant for dinner. Soo-hyun tries to say something, intending to break up with him, but Jin-hyuk interrupts her with a gift. It’s a leather case for the camera he gave her, which he made with his own two hands. Soo-hyun sees that he’s even engraved her name on the case, and she acknowledges what a thoughtful gift it is. Jin-hyuk asks what she was going to say, but she says it’s not important. That night, as he’s grinning to himself about their amazing date today, Jin-myung sends Jin-hyuk a text with some photos that were taken of him and Soo-hyun earlier. In them, he’s feeding Soo-hyun bites of cake, and Jin-myung quips that he’s a pretty awesome boyfriend. Soo-hyun’s father holds a press conference regarding his withdrawal from the presidential race and the fact that he’s turned himself in to the police. He tells the press that a corporation illegally funded his campaign, and that he’ll be honest with the prosecution and accept his fair punishment. Soo-hyun watches him on the news and remembers him telling her not to think that any of this is her fault. At work, Jin-hyuk listens to the PR employees speculating on whether it was Taekyung who gave Soo-hyun’s father the illegal money, until they remember that he’s sitting right there and stop gossiping. He’s thinking about his dinner with Soo-hyun’s dad, when he’d asked Jin-hyuk to be strong for Soo-hyun. A flashback shows us that when Soo-hyun’s dad told his wife about his plans, he’d asked her to be his witness regarding the illegal money from Taekyung. She’d been terrified, but he said he had a plan to make sure she only gets a suspended sentence. She’d refused, even when he’d said this would help free Soo-hyun from Chairwoman Kim’s grasp. But he’d told her firmly that her dream of being first lady is never going to happen. Secretary Jang turns Woo-seok away at Soo-hyun’s office door, stating that Soo-hyun won’t be meeting with anyone today. He says he’ll come back later after confirming with Secretary Jang that Soo-hyun is okay. Meanwhile, Chairwoman Kim is terrifyingly calm as her call to Soo-hyun’s mother goes unanswered. Jin-hyuk struggles with whether or not to contact Soo-hyun, and when her phone finally rings, it’s Driver Nam calling to tell her that he’ll drive her father home from the police station. Jin-hyuk waits until Soo-hyun leaves for home and offers to drive her, and she invites him to stop for tea, because she has something to discuss. He thinks she’s just worried about her father, and he tells her that her dad mostly just wants her to take care of herself. Soo-hyun thanks him for worrying with her, then she drops the bomb — she wants to break up. Jin-hyuk goes very still, staring blankly as if her words make no sense. She tells him that he didn’t do anything wrong, it’s just that some loves aren’t meant to last. She asks for his help in doing this so that she can remember their relationship happily, but Jin-hyuk can’t understand why it has to be a memory at all. Soo-hyun says that they’re the only ones who are happy, but that she considers every day with him a miracle, so she doesn’t want things to end badly and ruin that miracle. Jin-hyuk says that he promised her father he would stay beside her through this difficult time. Soo-hyun replies that she knows he cares for her, and she cares for him, so that’s why she’s ending this here. She says that it will be hard, but she can make it through her father’s ordeal. As it sinks in that this is really happening, Jin-hyuk’s eyes fill up with tears. He asks in a broken voice, “Why… why are you abandoning me?” Soo-hyun says she could never abandon him — what she’s doing is letting him go. She stands to leave, but Jin-hyuk jumps up and grabs her hand to stop her. He can’t speak, he can only look at her pleadingly, but she releases his hand and walks away. Jin-hyuk walks towards home in a daze, then he suddenly breaks into a run. Soo-hyun is huddled in her bedroom as Jin-hyuk frantically calls and rings her doorbell, over and over again. Eventually he gives up and leaves, though it looks like it’s killing him. Soo-hyun never moves until morning, when she finally gets up and takes off her couple ring. In the morning, Jin-hyuk’s dad worries that his son looks terrible, but Jin-hyuk just says he’s been busy. Mom looks like she knows more about it, but she doesn’t say anything. On the news, Soo-hyun sees that after her father’s official statement, the prosecution issued Taekyung Group with a search and seizure warrant, having determined that there’s a risk of evidence destruction. She calls her dad just to make sure he’s okay, and she thanks him for doing the right thing, which gets him choked up. Chairwoman Kim tells her lawyers that the search and seizure won’t find any evidence, and that Soo-hyun’s mother won’t have the guts to testify. Jin-hyuk is miserable at work, to the point that Director Kim sends him home early. He stops by the store, and Dad thinks he’s just worried about Soo-hyun, but Jin-hyuk says he’s taken medicine and only needs some rest. Mom is surprised to see Jin-hyuk home early, and she looks a little guilty as he goes straight to his room. Soo-hyun meets with Director Kim regarding an upcoming appreciation event for the employees. Unaware of the breakup, Director Kim says that she sent Jin-hyuk home sick, and Soo-hyun looks worried. Jin-hyuk is just sitting in his room in the dark, still dressed from work, when Jin-myung calls him (having been tipped off by Dad that he’s not feeling well). Jin-hyuk sounds terrible, but he says he’ll rest a while then meet Jin-myung at Dae-chan’s restaurant later. But instead of resting, he stares at his collection of items that remind him of Soo-hyun, sighing heavily. The only person who knows about the breakup is Secretary Jang, who shows up at Soo-hyun’s home that evening with cake to help her feel better. She mentions Soo-hyun’s father’s power move, which should put an end to Taekyung’s lawsuit threat against Soo-hyun, but Soo-hyun says that things will get worse for him because of her. Secretary Jang thinks that’s silly, and that Soo-hyun isn’t responsible for Jin-hyuk’s mother either, or for the fact that Jin-hyuk fell for her. She rants that Jin-hyuk’s mom had no right to meddle in their relationship, and Soo-hyun asks dryly if she’s really here to comfort her, ha. Out of nowhere, Soo-hyun says she’s going to Cuba once the issue with her father is sorted out. She advises Secretary Jang to take a year off while she’s gone, and Secretary Jang looks shocked — then says she’ll just spend that year in Cuba with Soo-hyun. At Dae-chan’s restaurant, JI updates Jin-hyuk on a meeting he missed about the employee event. She tells him there will be a musical guest, and a vote for the best employee of each branch… the gossip is that Jin-hyuk is the most popular from their branch. He keeps insisting that he’s feeling better, but Hye-in can tell something is going on. Jin-hyuk claims he’s just catching a cold, but neither Hye-in, nor Jin-myung listening nearby, are fooled. While their sons are out, Mom confesses to Dad that she begged Soo-hyun to break up with Jin-hyuk, and Dad is very much notpleased about it. Mom argues that she knew Jin-hyuk would never give up on the relationship, but Dad says that if she knows that, then she should give him her support; or if she can’t do that, then to stay out of it. Mom refuses to admit she was wrong, insisting that things will calm down over time and Jin-hyuk will forget all this when he’s married and has kids. Dad asks incredulously if she knows their son at all. She argues that if they stay together now and break up later, Jin-hyuk will be the only one getting hurt, and that she just wants their family to live a normal life. Disappointed, Dad reminds her that when the boys were little and they only had enough money for a fruit stall, Jin-hyuk would take care of Jin-myung while his parents worked. He asks Mom how she can watch her son work hard for his family and not do the same for him now. He tells her that she’s made a mistake, and Mom bursts into tears, crying that she knows Soo-hyun is also hurting over this. She says she’ll be punished for breaking Soo-hyun’s heart, but she can’t let Jin-hyuk be hurt. Jin-hyuk stands in the doorway, having overheard his mother’s accidental confession. He goes back outside, stunned, and suddenly so much of what Soo-hyun said while she was breaking up with him makes sense. He calls Secretary Jang when he can’t reach Soo-hyun, and she tells him Soo-hyun is still at work. He bursts into her office, and when he sees her, he runs across the room to take her in his arms. He asks why she didn’t tell him about meeting with his mother, and Soo-hyun only lets herself relax into him for a moment before she pushes him away. She somehow looks him right in the eye as she says that’s not the reason she broke up with him. She tells him that her mind is made up, and not to make it more painful than it already is. Devastated, Jin-hyuk asks how it’s possible for it not to be painful if he can’t see her again. He says that his mom just needs time, like they did.But Soo-hyun tells him that his mother made her tangerine syrup, something that can’t be bought with money. Jin-hyuk starts to lose it as she says she can’t break something that precious (meaning his family), when she can’t even go out for ramyun without it ending up in the news. She asks Jin-hyuk if that syrup (his family) really suits her, and he fights through his tears to ask if she thinks he loves her because she’s the CEO of Donghwa Hotel, or because her father was a politician. He says that everyone’s different, but that can’t be a reason to break up, because love is about two people growing to be more like each other. He begs her not to do this, but Soo-hyun says resolutely that watching him and the people he loves being slowly worn down because of her would be more painful than not seeing him at all. He tries again to stop her from leaving, but she keeps walking before he can catch her crying. Left behind, Jin-hyuk breaks down, his heart completely broken. He tries to walk home, but Soo-hyun’s words overwhelm him and he collapses in the street. Soo-hyun also walks herself home, but she somehow manages not to cry again. Jin-hyuk’s mother is asleep on the couch when he finally makes it home. He stops to watch her sleeping, then tucks the blanket around her more tightly and goes to his room. Mom starts to cry — she was awake the whole time. In the morning, Jin-hyuk dreads having to sit across the breakfast table from his mom. He pastes on a smile and pretends nothing is wrong, but his father doesn’t look fooled. Soo-hyun approaches her mother about the possibility of buying a small art gallery and living there while her father serves his prison sentence. Her mother refuses to discuss it, but Soo-hyun remembers how her mom used to take her to art exhibitions when she was young. She admits that she studied journalism because her mother used to be a news announcer, and her mother softens a little. She says she gave up that life a long time ago, but Soo-hyun offers to help her start over. Her mom asks why she’s doing this, and Soo-hyun says simply that it’s because she’s her daughter. She leaves, and her mother remembers that she recently told Soo-hyun that she doesn’t care about relationships, she only cares about person’s value. She seems to understand how wrong she was, and she starts to cry. Jin-hyuk’s mother brings his dad lunch at the fruit store, and she sees him reading an article about Soo-hyun’s father. He grumpily says he’ll eat later, and she tells him that she doesn’t want Jin-hyuk with someone who has such a complicated story. Dad snaps that it’s not a story, it’s a life. Jin-hyuk is even more distracted at work today. He skips lunch, saying that he ate a big breakfast, but Director Kim can tell something isn’t right. She’d been up to Soo-hyun’s office, where Soo-hyun told her about her plan to go to Cuba until the new hotel is finished. Director Kim puts some clues together in her head — Soo-hyun’s plan to leave and Jin-hyuk’s being so pale and tired — and makes a pretty good guess about what’s really going on. One of the board members visits Soo-hyun to talk about Woo-seok. Evidently, he’s taken all the Donghwa shares that were held by Taekyung shareholders and wants to give them to Soo-hyun, but she politely declines. He advises her to take the shares while she can, since Taekyung won’t be able to sue her now, but she says that she doesn’t care about shares or assets, she just wants to be able to work at Donghwa. Director Kim stays behind at lunch and invites Jin-hyuk to sit with her, probably to make sure he eats something. She tells him that Soo-hyun is talking about going to Cuba long-term, and asks if something is wrong between them. That evening, Driver Nam talks to Soo-hyun about her father and the difficult decision he’s made. Soo-hyun says she’s fine, just worried about her dad, and Driver Nam asks why she broke up with Jin-hyuk if that’s true. He asks if she knows that her father met with Jin-hyuk and asked him to take care of her so that she’d have someone for support during this time. She remembers that when she broke up with Jin-hyuk, he’d said something about a promise to stay beside her. With a sigh, she tells Driver Nam that she was being selfish (by being with Jin-hyuk), but then she realized that her life could be a burden to Jin-hyuk. Jin-hyuk makes it all the way home, but instead of going inside, he turns around and goes to visit Mrs. Lee. He tells her that he’s upset because Soo-hyun is going through a difficult time, but he can’t help because she broke up with him. He says that he should probably let Soo-hyun go, but Mrs. Lee advises him to give her some time. Jin-hyuk sighs that he planned to do that, but Soo-hyun persuaded him that she’s serious. He says that he thought he’d brought Soo-hyun out of the castle she was living in, but judging by what she said, now he feels like he only locked her up in another castle made of guilt. He thinks she feels guilty for causing pain to people around her, and that if it’s true, then their love is meaningless. Soo-hyun passes Jin-hyuk in the hotel lobby the next day, but she doesn’t even look at him. He thinks, “Look how miserable you seem,” as she thinks, “Don’t be too hurt. Jin-hyuk-sshi, I’m sorry.” Jin-hyuk goes up to his desk and to draft a letter of resignation, but before he begins writing, he sees the welcome letter Soo-hyun wrote when he first started at Donghwa. When he tries to write down his reason for quitting, all he can think about is his relationship with Soo-hyun, and how much has happened since they first met. Mostly he remembers how committed they’ve been to making it work no matter what, so instead of finishing the letter, he marches up to Soo-hyun’s office like a man on a mission. Yes, you go tell her! When he gets there, for the first time, Jin-hyuk looks angry. I am so glad to see Jin-hyuk looking pissed off, because let’s face it — he’s wonderful and I love him, but he’s way too nice. I don’t think it’s an act, I believe that he really is just that sweet and understanding, and that his first instinct in any situation is to try to see the other person’s point of view. And those are wonderful traits to have, but sometimes, when something is wrong and you know it, you have to get angry and fight. And if ever there was a time for Jin-hyuk to fight, it’s now. I don’t know what he plans to say to Soo-hyun, but whatever it is, I have no doubt that it will be strong and firm and right. If he’s the man I think he is, he’ll tell Soo-hyun that she’s coming at this situation all wrong, and that the answer isn’t to give up but to keep fighting, like they’ve always done, together as a team. I’m surprised that I’m not even mad at Soo-hyun for breaking up with Jin-hyuk, which I fully expected to feel once she actually pulled the trigger. But once she did it, although my heart was breaking for Jin-hyuk (and can we just take a moment to acknowledge what an amazingly beautiful crier Park Bo-gum is? ), I could see why Soo-hyun is willing to cause him this much pain now in order to save him more pain later. Her biggest fear is for Jin-hyuk to lose his family, something she’s always wanted and never had, and something she knows is essential to him. Jin-hyuk’s mother was wrong to make Soo-hyun feel like her love for Jin-hyuk would cause their family to be destroyed, because if it’s even possible for one person to cause that kind of destruction, then the family can’t have been that strong to begin with. But she not only made Soo-hyun feel that her very presence could cause Jin-hyuk to lose his family, but that even if she stayed with him, she would never be accepted as one of them, and that’s just not true (she’s already accepted by his father and brother). Soo-hyun truly believes that by breaking up with Jin-hyuk, she’s giving him the one thing she never had — family. But what his mother doesn’t seem to understand is that for Jin-hyuk, Soo-hyun is it. His father is absolutely right — Soo-hyun is Jin-hyuk’s first and last love, and if they break up for good, he’ll never recover. He may have his family, but he’ll never be truly happy again like he was before they met and fell in love. I don’t think his mother is a bad person – I think she acted selfishly out of fear, and that if they can take away that fear, she’ll see that Soo-hyun isn’t the problem, but the solution. The answer isn’t for Soo-hyun to leave Jin-hyuk, but for them to face this and fight like they’ve faced every other problem they’ve come up against. Jin-hyuk has a tough job ahead of him — he has to convince Soo-hyun and his mother that Soo-hyun is as essential to Jin-hyuk’s happiness as his family is, and that without both, he won’t ever be complete. But he’s an intelligent, insightful man, and if he thinks hard enough, he’ll realize that Soo-hyun has already given him all the clues he needs to fix this. Where can i find the story of the little prince online? Seem like, everyone wanna read or re read again. I guess, i must find n read too.... for the first time.